PAEPARD: 2019 INTERNATIONAL DAY OF WOMEN AND GIRLS IN SCIENCE: FARA SALUTES DR IRENE ANNOR-FREMPONG; AFRICAN WOMAN SCIENTIST PAR EXCELLENCE! 2019 INTERNATIONAL DAY OF WOMEN AND GIRLS IN SCIENCE: FARA SALUTES DR IRENE ANNOR-FREMPONG; AFRICAN WOMAN SCIENTIST PAR EXCELLENCE! 11 February 2019. Accra, Ghana. In recognition of the gap in access and participation in science for women and girls, the United Nation (UN) adopted a resolution in December 22nd of 2015, to make every 11th of February the International Day of Women and Girls in Science. While the current decade has witnessed significant progress in mainstreaming gender through engagement of women and girls in science, much is left to be desired. For example, only around 30% of females study Science, Technology, Engineering, and Mathematics (STEM) related courses in higher institutions. In Sub-Saharan Africa, where women represent about 50% of the workforce in agriculture, only one in four agricultural researchers is female, with very few in leadership positions. In sustaining the momentum of the Comprehensive Africa Agricultural Development Program (CAADP), as underpinned by the African Union Agenda 2063 and the Sustainable Development Goals (SDGs), the FARA recognizes the role of mainstreaming gender by strengthening its engagement with women and girls across the Africa’s AR4D fraternity. Beyond the need to tackle the stereotypes and biases that steer women and girls from studying and engaging in AR4D related disciplines, which prevents the continent from realizing the potentials of its human capital, FARA recognizes women in science as core stakeholders in the match towards making Africa food and nutrition secure. Through its network of partners and programs, FARA integrates components that ensure full and equal access to participation of women and girls in science. 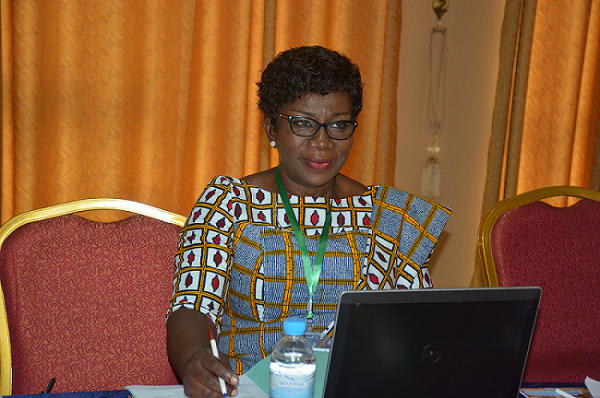 At home, FARA is proud to count on the support of Dr Irene Annor-Frempong, its Director of Research and Innovation (DRI), whose leadership and brilliance in Africa’s AR4D are a shining example for every African woman and girl. An animal scientist by training, Dr Annor-Frempong is a highly talented AR4D practitioner and educational leader who has, over the years, infused positive leadership and vibrant energy in the works of FARA and the Africa continent. 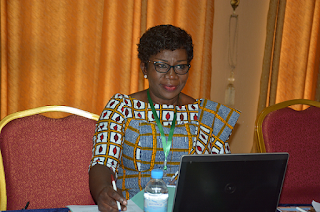 Dr Annor-Frempong is a featured role model in the online platform Modernizing African Food System Consortium (MAFS). and the development of a new Africa-Europe partnership framework; Supporting Implementation of a Science-Led and Climate-Relevant Agricultural Transformation in Africa (SISTA). As the world celebrates this year’s International Day of Women and Girls in Science, whose theme is “Investment in Women and Girls in Science for Inclusive Green Growth”, FARA celebrates this proud African scientist par excellence from Ghana, who has done so much in improving the quality of agricultural research and training institutions throughout Africa.